Everyone was excited about the 2010 F1 Season, and with good reason. With four champions on the grid, the return of Michael Schumacher, Mercedes and Lotus …. the prospects are great! However, the first round at Bahrain provided a fairly average spectacle, with a the occasional overtaking manoeuvre, but nothing out of the ordinary. 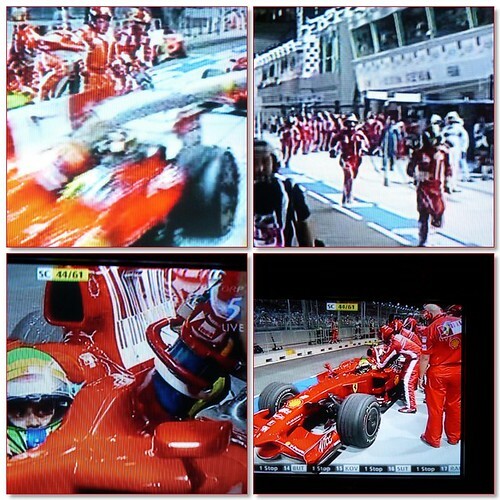 The F1 world immediately started to react, saying that the “show” needs to improve, but I’m aghast at people’s reaction! Sure, the race wasn’t a classic by any length of the imagination, but you would think F1 was on the brink of collapse as a result of ONE race! Bernie Ecclestone has even waded into the discussion, saying that the race wasn’t all that bad. This season will turn out to be a good one. It just requires a little patience! The fuel strategies may be gone, but we will see some incredible action later in the season … you mark my words! McLaren Chief Predicts More Overtaking! Q: The main regulation change this year is the banning of refuelling. What impact will this have on the racing? Will it be better, or will it result in more processional races? MW: Inevitably, when you make a change, there are pros and cons. Regarding the pros, it arguably makes qualifying purer because the fastest car/driver combination will be setting the fastest times, and the public can understand that. Secondly, in the race itself, overtaking was often being planned and implemented to occur as a consequence of strategy, and therefore happening in the pitlane and not the circuit. In the absence of that effect, drivers will have a greater incentive to overtake. There have been occasions in the past where a driver hasn’t had that incentive because he knows he will be running longer and can get past the car ahead strategically through the pitstops. Additionally, the fact that drivers will qualify on low-fuel, and then the next time they drive the car in anger into the first corner will be after a standing start with cold tyres and cold brakes and 160kg of fuel. That will be very challenging for them, not just in terms of getting round that first corner, but in terms of how they look after their tyres and how the balance of the car will alter as a consequence of that. And there will be drivers who are able to deal with those changes better than others. Those are all the positives. On the negative side, it’s possible that if all of the above is managed equally well by every driver, then we’ll have lost one of the strategic campaign interests that the more avid fans enjoyed in the sport. Hopefully the former points will outweigh the latter. On a personal level, I am delighted to see the end of refuelling, and the race fuel load in Q3. I have lost count of the occasions when a refuelling rig became stuck, or wouldn’t attach to the car … and as for cars driving down the pit lane with the rig still attached …. Formula One qualifying should be about outright speed, and the final sessions were an anti-climax, IMHO. You couldn’t be sure whether a lap time was genuinely fast or slow. It was particuarly difficult explaining the complex strategies and factors to casual viewers .. who make up the bulk of viewers! Most people (myself included) want qualifying to be about raw pace, and the race to be as transparent as possible. It was a lot easier to understand a race in 1993, compared to 1994, when refuelling was re-introduced! The simplification of F1 races is not a case of “dumbing down”. Between 1984 and 1993, F1 fans witnessed some of the finest talent and action ever, and refuelling was banned! Here’s to an exciting and straightforward 2010 ….